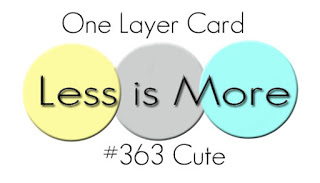 Having seen the current challenge HERE over at "Less is More" I decided to ink one up for my one layer card using my sketch. 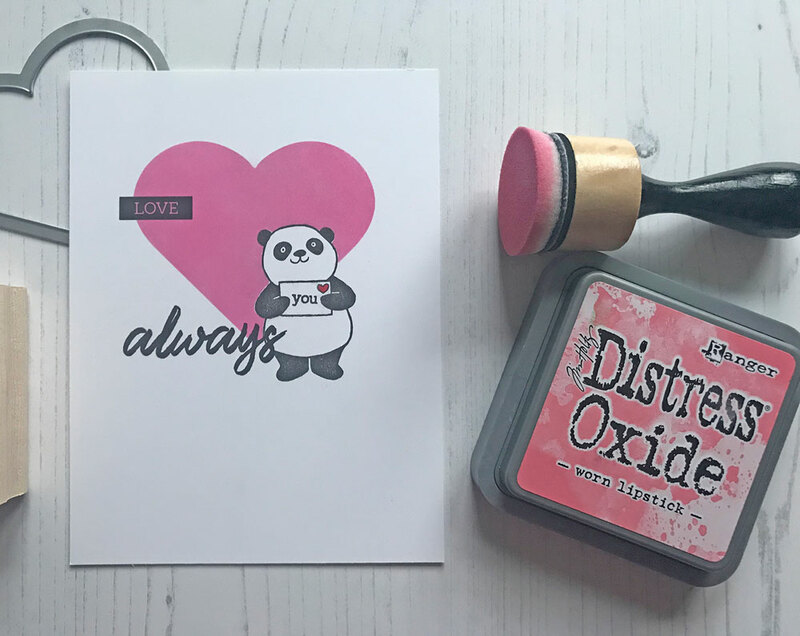 I thought she could be holding a Valentine's envelope in her paws, so I decided to ink a masked die cut heart and added some Uniko love sentiments from Simply Said Blocks and Pure Florals: Rose. A pretty quick CAS card and not much waffle from me today, I've a Ben Bean day today and there is much playing and learning to be done! 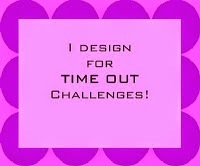 I hope thatI have inspired you to join in on the challenge?! 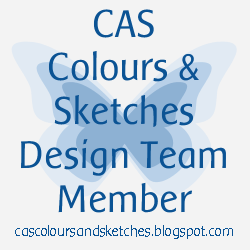 If you need a little more inspiration, pop on over HERE to see what the CC&S Design Team have created. Adorable card, Bev! I can't believe that is one-layer...your masking is fabulous! 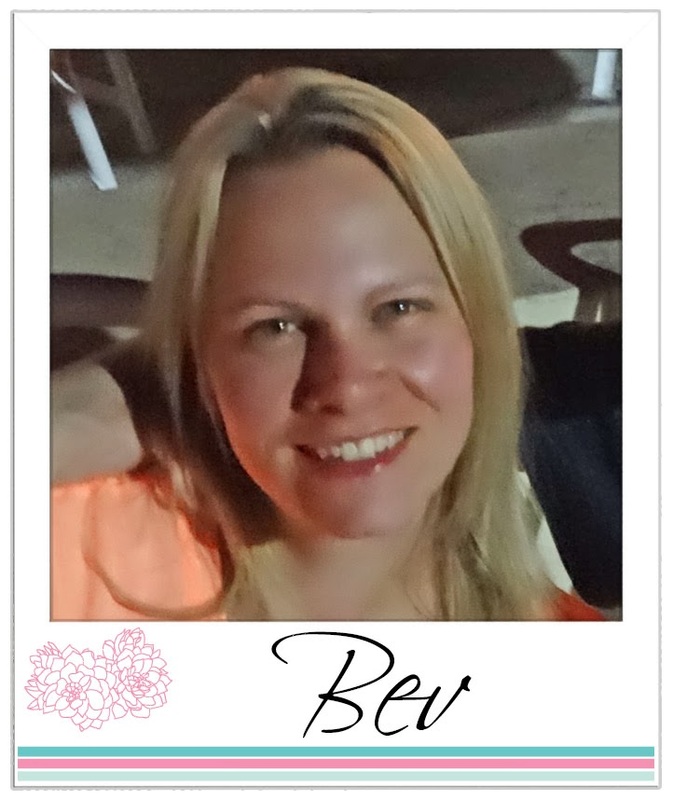 Love this, Beverley! My Party Pandas stamp set is on the way and I can't wait to create with it. They are just too cute. Adorable card. I love how you staggered the sentiment. I love the vibrant pink heart as the backdrop for that sweet panda - great one layer design, Bev! 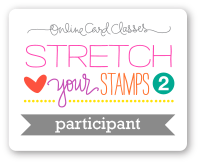 Great one layer card and so cute too! Not many cute sets, but this is a great pick. Beautiful pink ink blended heart. A sweet backdrop for your cute panda. Thank you so much for joining us at Less is More. 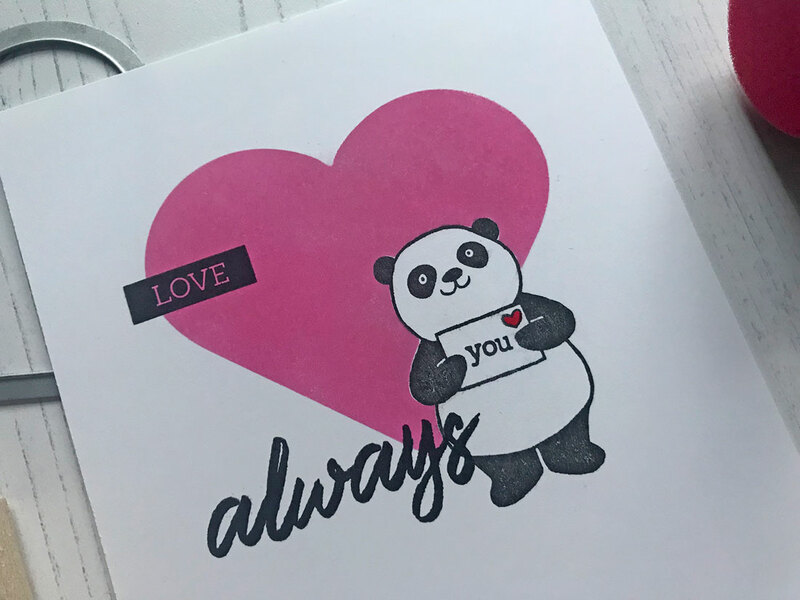 The heart is a great backdrop for that darling panda! 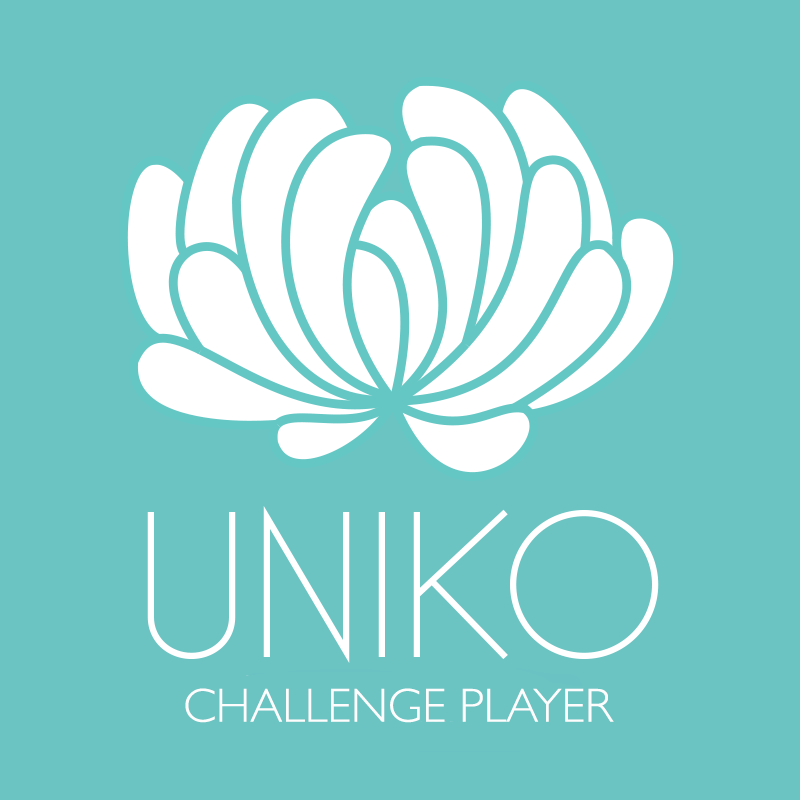 Your Uniko sentiments fit perfectly with her. And it's a one-layer card - bravo!